According to experts, it is important to use tonic in daily skin care procedures. Not everyone knows about its benefits, so people do not take benefits from the wonderful properties of rose water. At home, you can make a good tonic for wrinkles – a lotion that supports skin elasticity, its youth, freshness, healthy complexion. The use of rose water is recommended primarily for skin dry, flaky and prone to irritation. It will soothe the skin after sunburn, strong tan. This healing fluid also has an astringent effect. Rose water as a face tonic reduces redness, soothes inflammation and accelerates the healing of wounds, wrinkles, and acne. With regular use, this will make scars and acne spots less visible and help you to get rid of wrinkles as rose water have anti-aging properties. It is necessary to cleanse the face, moisturize it for a bright and young look, but it is also important to use a tonic to keep the skin elastic, for a long time to remain without any wrinkles. Rose water helps prevent the appearance of signs of aging, as well as get rid of swelling, puffiness under the eyes, which add age, make it look tired. What is a facial wrinkle toner? This is a special cosmetic, the purpose of which is to cleanse the skin, give it elasticity, maintain tone, and narrow pores. 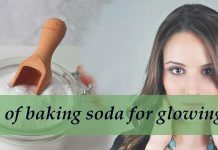 Although there are a lot of store tonics that are easy to buy, you can make your own home completely from natural ingredients – the effect will not be worse. Why use tonic in daily skin care? 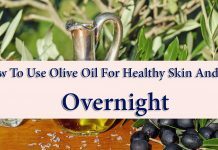 What can be called the right skin care? Ideally, it should consist of three steps: cleansing, toning, and moisturizing. When you wash your skin with soap and water, you wash away its natural fats, and therefore pores can easily begin to accumulate dirt. To avoid drying out of the skin, increase resistance to environmental influences and pollutants, it is necessary to close the pores with tonic. How to make a rose water tonic for wrinkles at home? Natural homemade wrinkle tonic is a great helper in self-care for any woman, because it helps to reduce wrinkles, improves skin health, gives it strength and leaves it fresh. The natural components of this recipe are deeply cleansed, prevent the appearance of early signs of aging, give the face a beautiful and healthy look. The basis – rose water – can also be made at home from rose petals or with essential rose oil. Three drops of rose oil to a glass of boiled water is the simplest recipe for such “living water”. A handful of rose petals – white, red, pink – put in a colander and rinse very thoroughly with cold water. Put the washed petals on clean, thin cotton fabric and tie up its tips so that the bag is tightly closed. Place an improvised napkin on the bottom of the glass bowl (jars, bottles) and pour boiling water over it so that the petals are half full. Wrap the vessel with aluminum foil and leave overnight. Due to this, the water will be more “intense.” Homemade rose water from rose petals prepared according to this recipe should be infused for about 12 hours before use. It must be consumed within 2 weeks. Rose water is a completely natural cosmetic and therapeutic agent, and having antioxidants and anti-aging properties to have young skin. Tightens pores: Among the main advantages of using such a tonic is that it cleanses the skin, protects it, helps to remain hydrated without drying, makes pores less noticeable. Balances the pH level: homemade tonic from wrinkles regulates, normalizes the pH level, so excess fat does not accumulate, which means that infections are not terrible. With regular use, the skin will have a natural smooth look, and other problems will disappear. Displays harmful substances: Pollution, smoking or the constant use of low-quality, enriched with chemicals products, can adversely affect the skin and accelerate its aging. This tonic helps to remove the accumulated toxins, gives the skin a healthy and bright look. Fights Acne: Acne is a painful skin problem that can leave traces on it forever. In addition, the skin looks much fatter, and the pH level goes out of the norm. This tonic helps remove accumulations of fats, dead skin cells and other toxins that affect the appearance of these ugly flaws. Moisturizes and nourishes: This tonic nourishes the skin with additional moisture, helps it retain moisture, stay elastic. Good moisturizing is the key to reducing signs of aging and preventing wrinkles. Anti-aging elixir for the skin. It perfectly cleans, without disturbing the PH balance of the skin, tones and moisturizes. Rejuvenates the skin, prevents wrinkles and smoothes those that are already there. Moisturizes nourishes, prevents acne. Does not contain parabens, talc, benzophenone, ethanolamine, artificial colors. 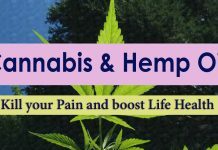 It has anti-inflammatory and antimicrobial properties. 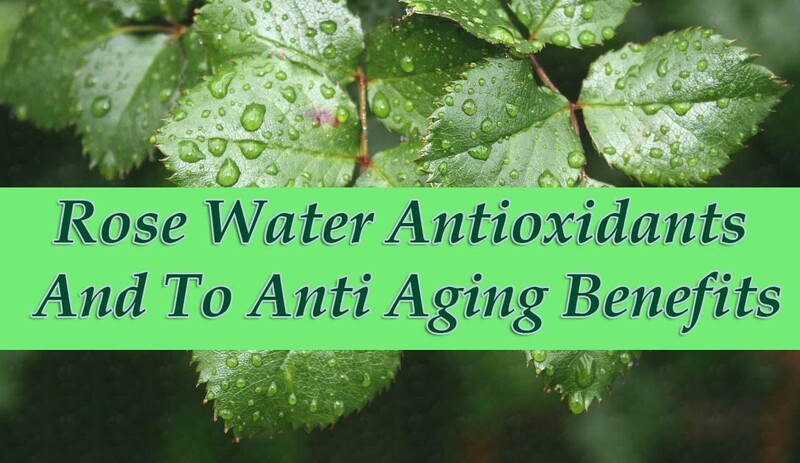 It is a powerful antioxidant that effectively removes excessive free radicals, resulting in water from rose petals protecting the softness and elasticity of the skin of the face and effectively combating the signs of aging skin. This is the distillate of the highest quality rose petals (rose petal). This water is a very beneficial tonic and natural skin cleanser. Rose water has antiseptic properties. It is especially useful for aging, dry and sensitive skin. Rose water helps to make your skin smooth, restores its vitality and water balance, as well as evenly improves skin texture. Compresses with pink water calm down tired eyes after long work with a computer, relieve tension, fatigue, and redness from the eyes. They contribute to the resorption of “bags” and the elimination of dark circles under the eyes. Rosewater tones the scalp, relieves inflammation, increases blood circulation in the scalp and promotes hair growth. Rose water is part of many hair masks and hair care products. Rose water can be used to remove makeup. How to use: moisten a cotton pad with plenty of rose water and wipe the face. To achieve a noticeable sustainable result, perform the procedure at least twice a day. Now that all the benefits of a natural tonic for homemade wrinkles are known, it is important to remember that in order to achieve the best results, you need to use it every day. This water should be used no more than two times a day so that the skin does not dry out. Although, if you have it too fat, you can try to use tonic three times – the face will look fresher. As a result of constant use of rose water, the skin will be healthier, softer and more radiant. Wrinkles are not for you – remember this! Do not forget about the importance of combining tonic with other important elements of daily skin care. For best results, along with care, set yourself an optimal drinking regime.